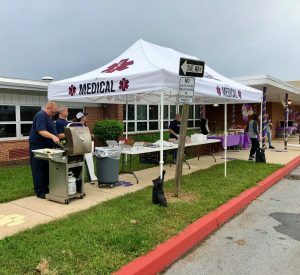 Tonight we were out at Smithsburg Elementary cooking 192 hot dogs for their tailgate party. We had a lot of fun and thank you for having us. 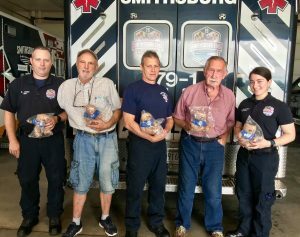 Yesterday John Lefebure and Jerry Miller stopped by from the Ruritan to provide our units with new teddy bears for the little ones. We hope to never need them, but when we do we haven’t met a child that doesn’t love them. Thank you gentlemen. We’re Participating in Washington County Gives again this year! 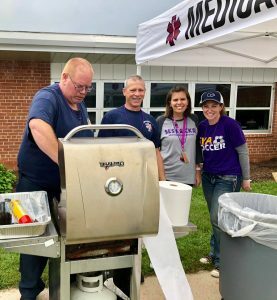 We’re joining more than 70 nonprofits in a 24-hour online giving promotion called Washington County Gives on Tuesday, May 3. Visit washingtoncountygives.org for more information on this great event!